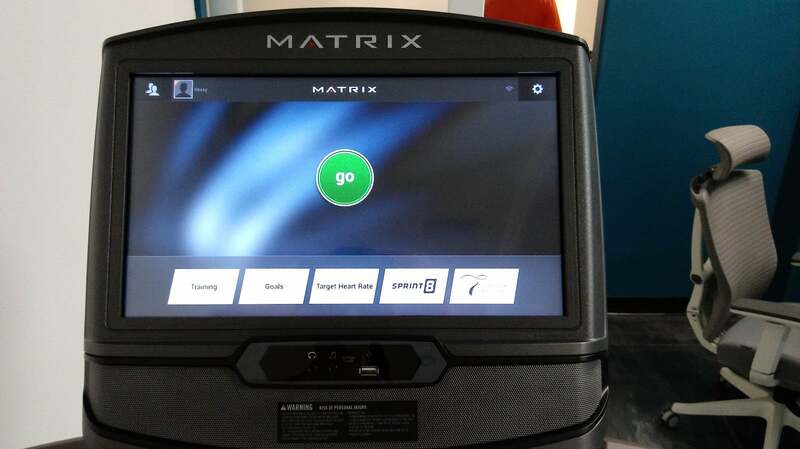 The Matrix TF30 is one of our Best Buy recommendations for treadmills around $2,500. It’s a high end treadmill that is also customizable. Users can choose from 3 different consoles when purchasing this treadmill which will have an effect on the price. We tested the TF 30 with the most expensive version of the console, the XIR ultimate, which brought the price to $3,499. 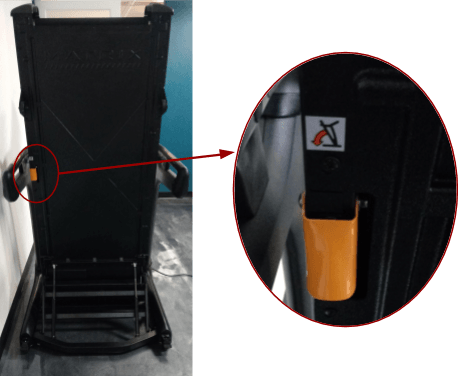 We were impressed with the build quality which will remain consistent throughout the different versions of this treadmill. But keep in mind that our review of the features is geared toward the XIR ultimate and not the less expensive options of the TF30. Ultimately, the treadmill is well built with great entertainment value but we’ve decided that there are less expensive treadmills on the market that offer the same value at a lower price point. There was nothing found in the TF30 that made sense of such a high price point for this treadmill. Read the full review for more details. Depending on the console you select, your TF30 will cost between $2,499 - $3,499. User who want to watch TV on their treadmill. It has a great console and large screen for TV watching where you can log into netflix or hulu. Users who want someone to coach them through their workout. Their fitness programs have a coach that will talk you through your selected exercise routine. Users who are picky about the appearance of their treadmill. This treadmill has a different look than most on the market. We like its simplicity, small frame, and quality build. Users who are not worried about the price tag. There are more cost effective treadmills on the market but in some aspects, this price might be worth paying if you aren’t limited by funds. Motor Size - The TF30 has a 3.25 CHP motor with a low-profile motor hood. It is a smaller motor than other treadmills in this price range but also quieter since it is smaller. 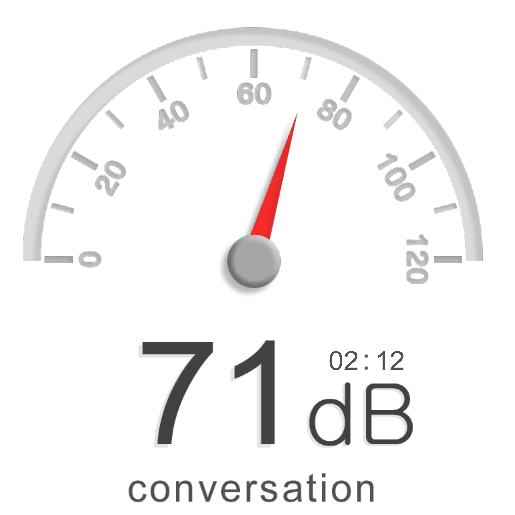 It smoothly transitions between speeds and inclines with very little audio feedback. Running Area - There is less running space on the TF30 than other treadmills in this price range. 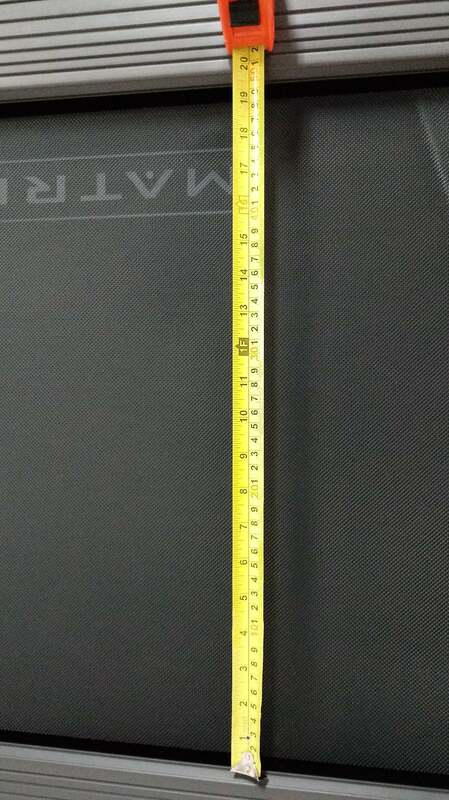 The TF30 running area actually under 20” x 55”, with the width of the belt measuring at 19.35 inches. Runners over 6’ may find it a tight fit at higher speeds as our taller testers found. Runners who want more space but want to stay in the same price range should look a the TT8 and x11i which both have belts that measure 22” x 60”. Folding Capability - The TF30 is unique in that it not only folds but also folds well enough that the deck is nearly vertical. Many treadmills fold up at an angle that can affect storage ability but the TF30 is one of the most compact treadmills we’ve seen. Space / Footprint - When in use, the TF30 is 77” long, 35” wide and 62” high. It is a fairly slim treadmill even when in use, so if users want a strong treadmill that will fit into a small area, this treadmill with be a good choice. The folded dimensions of the treadmill are 42” long, 35” wide and 71” high. With the reduced length when folded you can more easily maneuver around your machine. 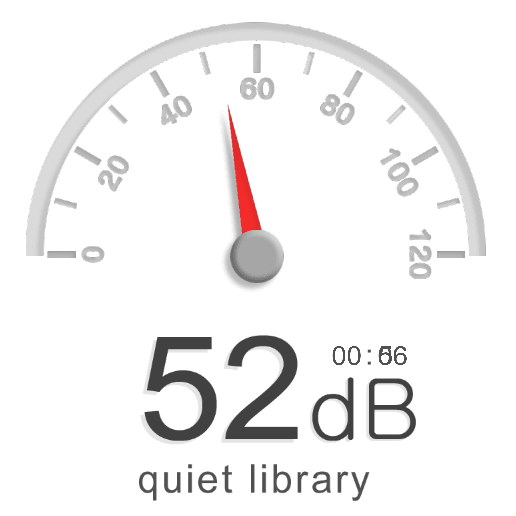 Noise Level - We were impress by how quiet the TF30 treadmill was when in use. 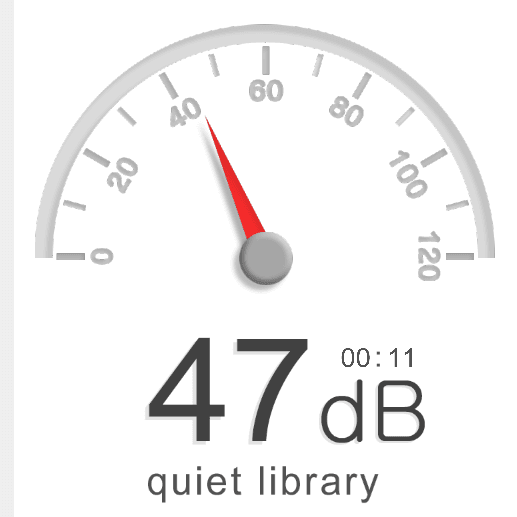 As there are no fans in this treadmill the noise level we tested for was quieter than many other treadmills we’ve tested. Even at the highest speeds (from 0.5 - 12.5 MPH) the TF30 doesn’t sound like a jet taking off as some treadmill models do at their top speeds. 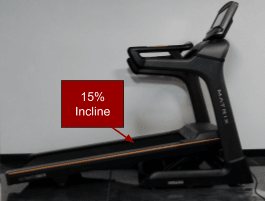 Incline/Decline - There is a good range to the TF30 treadmill, which is able to go from 0-15% incline. 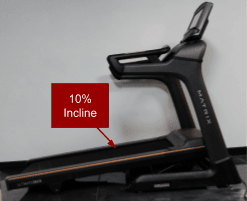 While that range is comparable to the TT8 treadmill, the x11i can go from -6% decline to 40% incline. For those not overly interested in incline, this may not be a deterrent to purchasing the TF30. Max Speed - The TF30 can go from 0.5-12.5 MPH, which is 0.5 faster than the other treadmills in this price range. Most runners cannot sustain this pace beyond a few minutes but it is effectively used when paired with the TF30 Sprint 8 programs, which comes with every console model. Display Size/Type - We tested the TF30 with the XIR ultimate console, which comes with a 16” HD touchscreen. The other two options are 8.5” blue LCD screen (base model) and 10” touchscreen (XER mid-range model). The touchscreen is responsive but takes a little time getting used to. 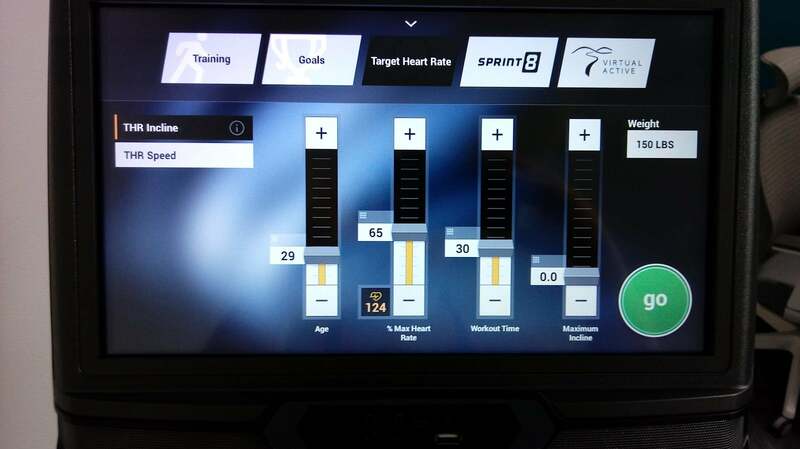 The console uses a keypad input system to change the speed and incline of the treadmill. This is a bit of an inconvenience when you’re running at a fast pace and wanting to quickly change between speeds or incline. But again, this is a characteristic of the treadmill you can adjust to. 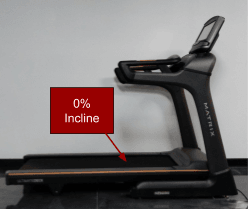 There are adjustment buttons on the treadmill frame, but they are also slow and make incremental (one tenth of a mile) changes to your speed and incline. This will allow your machine to go into a power saver mode instead of launching the Matrix commercial. Speakers - There are no speakers with the base model console, but there are two built-in speakers in the XER and XIR console models. They are fairly basic speakers with clear sound but very little bass, losing some of the range of whatever you are listening to. 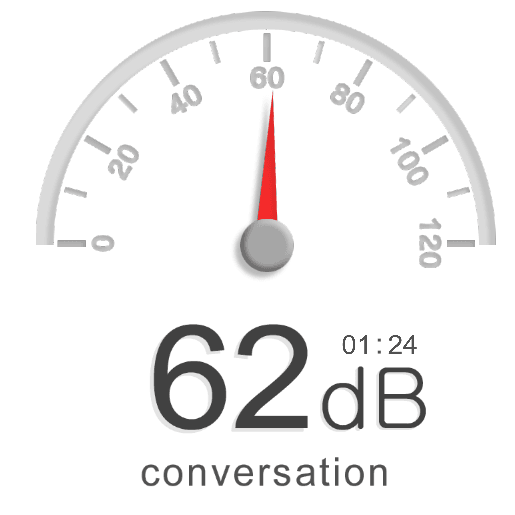 We weren’t very impressed by the speakers compared to other treadmills. Fans - There are no fans in the TF30 in any version of the console. 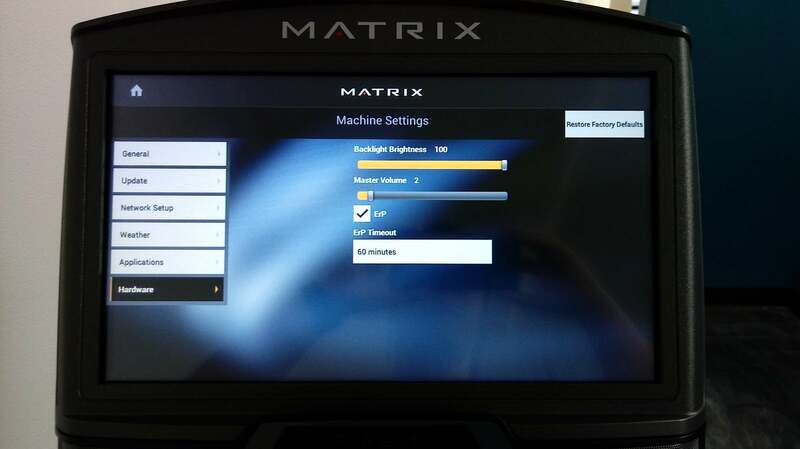 In fact, there doesn’t seem to be fans in any of the Matrix treadmills. Heart Rate Monitoring - The TF30 has both heart rate monitoring handrail grips as well as a Polar heart rate monitoring chest strap. As with most handgrip heart rate monitors, it is not very effective but the Polar strap works well. Cushioning - Though it does not have visible cushioning elements, the TF30 is a comfortable treadmill to walk, jog and run on. Using their patented Ultimate Deck™ system, the TF30 is enjoyable to use over long periods of time at all speeds and inclines. Workout Apps - Depending on the console, you will have different options. These screenshots are from the XIR ultimate console, which has the most options. 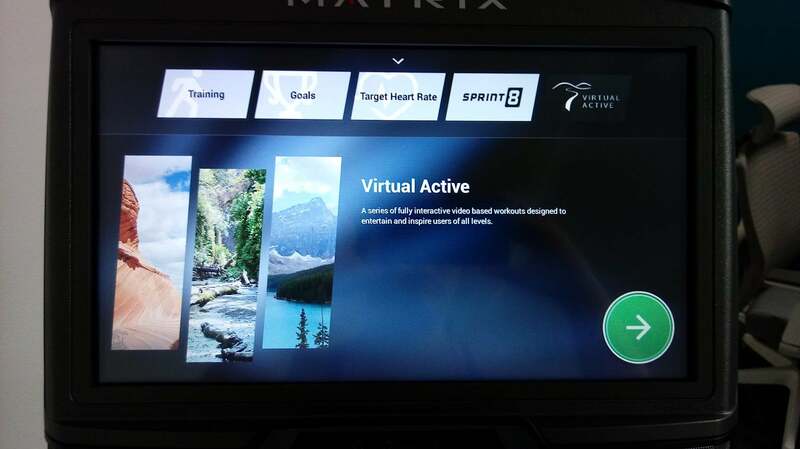 In some of the programs, you have a video of a couch talking you through your workout. This is a nice feature as it adds more engagement and helps curb some of the boredom that can come with treadmill running. 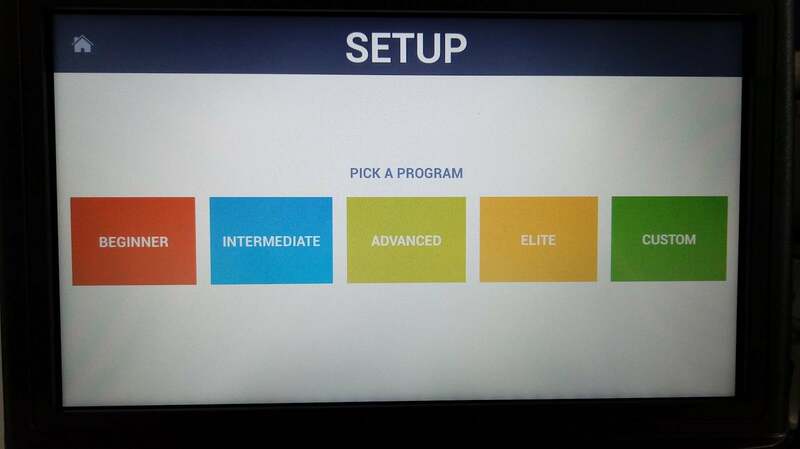 Landing Screen/Quick Start Program - This is the main screen you will reach when you get through your machine setup. By pressing the ‘go’ button, you can launch a manual workout quickly. Training Programs - There are three options when it comes to the regular training programs, of which you can set the sliders to cap out where you are comfortable. Goal Programs - These programs focus on time, distance and calorie goals respectively. Set your sliders to your targets in these programs. Heart Rate Programs - The focus of these two programs are heart rate with the emphasis on either hitting the heart rate via speed or incline. 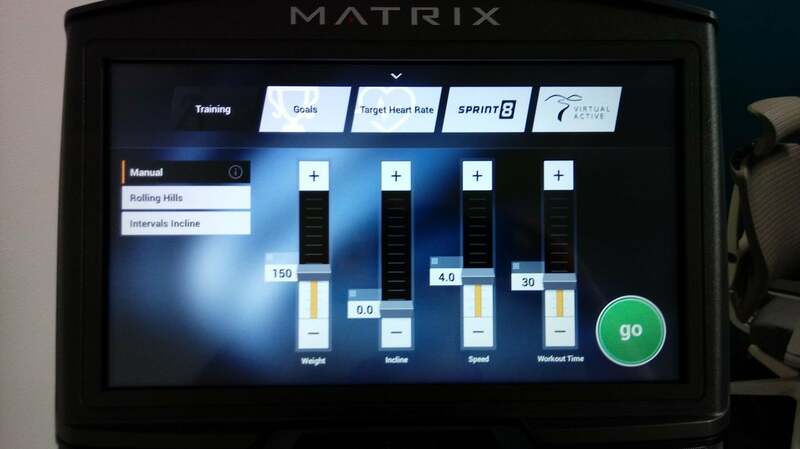 Sprint 8 Programs - The Sprint 8 programs are exclusive to Matrix and Vision cardio machines. They are 20 minute long programs which focus on 8 sprinting intervals per workout. You can select either one of their programs or craft your own interval program. Virtual Active Programs - Select an area of the world to run and get moving with the virtual active program. You can run in places like trails in the Rockie Mountains, with the treadmill automatically adjusting to match incline of the area you are covering. Return Policy - 30-day money back guarantee, except for shipping charges and assembly. Build quality is where the Matrix brand shines. It is well-braced with 6 different feet along with 4 wheels, which is necessary as the metal frame is heavy and needs to be carefully balanced on the height-adjustable feet. However, the sturdiness is a bit of a detriment if you want to move the treadmill. The TF30 is heavy and difficult to move. It is a tilt and roll model, which can be intimidating as it is heavy and unwieldy. While the deck side rails are molded plastic, it doesn’t seem to affect the overall weight of the deck. The release system comes with hydraulics to ease the deck down. This is a nice feature that makes folding the deck easier. Though it is still a heavy treadmill, most users shouldn’ find it too difficult to lift and lower by themselves. Overall, while we liked some of the features included with the TF30 treadmill with the XIR console, we felt other treadmills in this price range were more versatile and worth the cost. 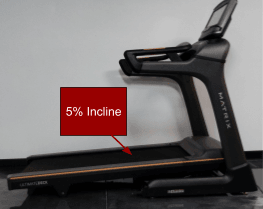 Only goes from 0-15% incline where other treadmills in the range go from -6% to 40%. Limited running space, where you get 2 more inches in width and 5” more in length with other similarly priced treadmills. Large screen was a bonus for watching videos or tv shows while exercising. The over visual appeal design of this treadmill is very appealing. It’s a sleek and nice looking treadmill, being less bulky than other models. We also liked the materials used on this treadmill. There is very little color or chrome which makes it look more high end. 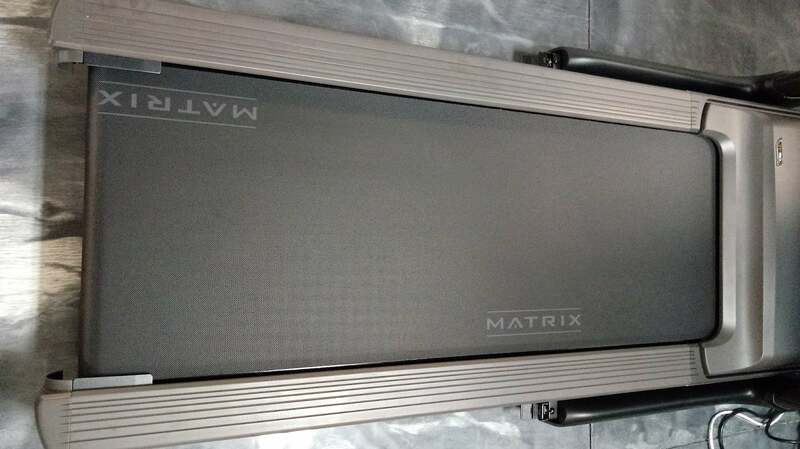 We highly recommend you purchase your Matrix TF30 treadmill directly from the manufacturer. This will be a huge benefit if you are ever in need of customer service as you can go directly to the manufacturer instead of having to deal with distributors.